Concrete pumps are now the most popular method of transferring liquid concrete and are a common fixture on building sites now. The birth of the concrete pump has increased the efficiency of building projects, especially when it comes to building high-rises. Whereas previously buckets of concrete had to be lifted up by cranes, it is now possible to pump concrete up to higher floors. This provides a fast and constant supply of concrete exactly to where it is needed. But how do they work? The answer is actually remarkably simple which probably in part accounts for the popularity and reliability of the humble concrete pump. 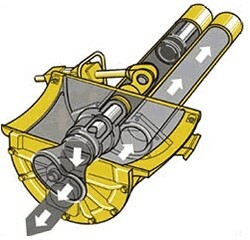 Two cylinders are placed side-by-side and in each cylinder is a piston. One piston draws the liquid concrete into the cylinder whilst the other simultaneously pushes the concrete out. There is a valve which determines which cylinder is open to the concrete hopper and which is open to the discharge pipes. So, that’s the basics of how concrete pumps work, but there are also multiple types of concrete pump. The list includes mobile pumps, stationary pumps, truck mounted static pumps, and truck mixer concrete pumps. A brief description of each type can be found below. 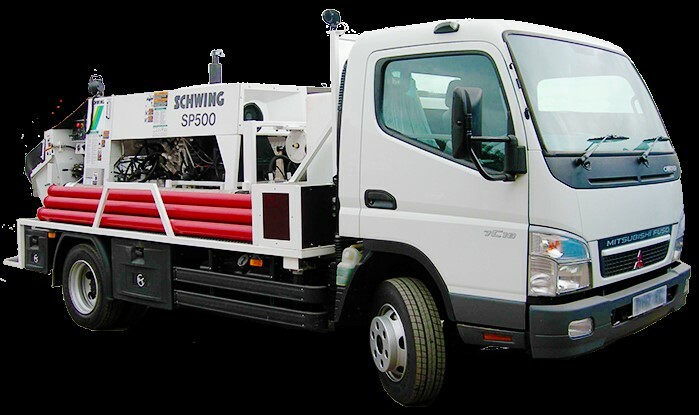 A mobile concrete pump consists of both a concrete pump and a placing boom which is mounted on a truck chassis. The booms can vary in size and the advantage of this type of concrete pump is it can be deployed quickly and deliver concrete to any area within the range of the boom. This type of pump is mounted on a trailer and concrete is delivered to the relevant area via a separate pipeline which is attached to the trailer. The pipe is then attached to a placing boom which allows the concrete to be placed with precision. Stationary pumps can be mounted onto a truck chassis without the boom. The benefit of this is that it allows you to reach places out of the boom’s range. 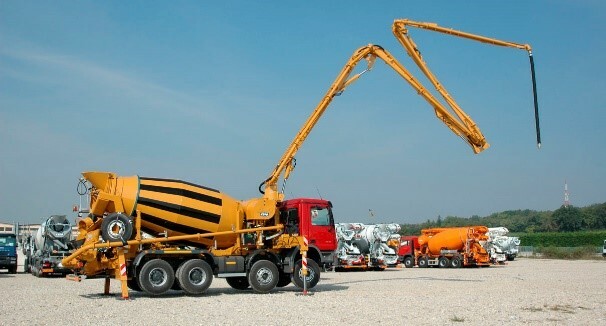 Both mobile and static pumps will source their concrete from large hoppers, but there is also the ability to have the supply of concrete itself be mobile. 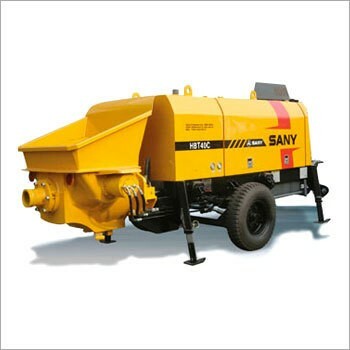 Mixer trucks exist which also have a concrete pump and boom, allowing for full mobility. 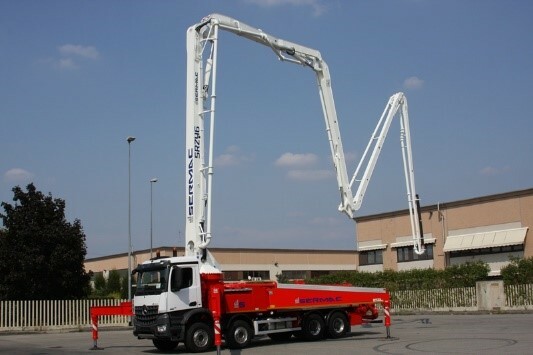 As previously mentioned, concrete pumps offer many benefits over the more traditional method of concrete supply, namely using a bucket and crane system. The two main benefits are that concrete pumps can supply a far greater supply of concrete per hour, and the supply is constant. This means that there are fewer wasted man hours as workers will not have to wait around for the next bucket of concrete to arrive by crane. Using a separate boom means it’s also possible to place the concrete exactly where it is needed, meaning lower labour costs. Also by having a dedicated concrete pump, the crane which would have otherwise been lifting buckets of concrete can now be used for other jobs. Finally, mobile pumps mean a far quicker setup time. All that needs to happen is the boom must be placed and the outriggers set up and the pump can be delivering concrete within an hour! Concrete can be used for a wide variety of needs, from laying foundations to flooring for your home or commercial properties such as warehouses. To find out more about the sorts of concrete pumps we provide at Base Concrete, get in touch, or visit our specific concrete pumps page.